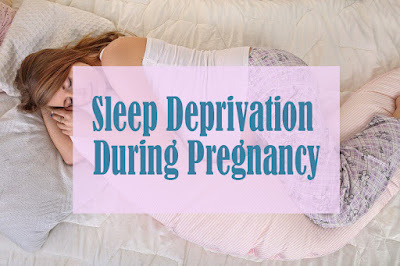 Home / Pregnancy / Sleep Deprivation During Pregnancy. Pregnancy and childbirth are tiring conditions for prospective mothers. Various changes in body function occur when the mother experiences pregnancy. Habits that are usually done by mothers every day can be disrupted, such as one of them is sleep habits. When pregnant, many things that cause the mother to become deprived of sleep, especially if the pregnancy is old enough or entering the last trimester. Mother's sleep time is very disturbed due to symptoms and signs that appear because it is getting closer to the day of birth. But did you know that lack of sleep during pregnancy is not only tiring but can affect the delivery process? Why are pregnant women having trouble sleeping during their third trimester of pregnancy? Nearly half of women who are pregnant throughout the world, experience problems sleeping when they enter the final trimester. The size of your stomach will be bigger, according to the growth of the fetus that you conceive. It often makes you uncomfortable to sleep, confused what position is right and makes you sleep well. Symptoms and conditions that might affect your sleep during the 3rd trimester of pregnancy are restless leg syndrome, back pain, frequent cramping in the legs, itching in some parts of the body, heartburn symptoms, and movements, kicks from your baby. Things like that can interfere with your deep sleep which then causes you to become sleep deprived during pregnancy. Does sleep deprivation during pregnancy cause problems at childbirth? Sleep deprivation during pregnancy in the final trimester causes the birth process to take longer, and the risk of the baby being born by cesarean section. A study conducted by UCSF School of Nursing has shown that sleep deprivation during pregnancy can make mothers more likely to experience prolonged births or give birth by cesarean section. This study involved 131 women who were pregnant with the 9th month of gestation. From this study, pregnant women who have a habit of sleeping less than 6 hours per night, encounter a birth process for an average of 29 hours. While pregnant women who get enough sleep only need 17.7 hours for the birth process. The researches also show at the sleep quality of the pregnant women in one week. Pregnant women who have sleep deprivation for 4 days a week, have a 4.2 times higher chance of having a cesarean section. While pregnant women who have poor sleep quality for 5 days a week are at risk of having cesarean surgery 5.3 times higher than in pregnant women who do not have problems in their sleep. The cause of sleep deprivation in pregnancy. During pregnancy, pregnant women will experience drastic hormonal changes. Hormonal changes can be an increase or decrease in existing hormones. And it can also be the establishment of a new pregnancy hormone. These hormonal changes affect the sleep cycle and can interfere with sleep. For example, increasing levels of the hormone progesterone can cause respiratory changes that interfere with sleep and also make it more drowsy during the day. Increasing the hormone progesterone can also make pregnant women wake up at night. Physical changes in pregnant women can cause pain and physical discomfort in certain parts of the body. Pain in the lower back and solar plexus often results from lack of sleep and insomnia. Nausea also makes mothers difficult to sleep and lack of sleep because they have to wake up all night. Pregnant women also experience anxiety about their pregnancy. Worry thinking about the delivery period, often makes pregnant women have sleep deprivation and insomnia. During pregnancy, pregnant women will experience an increase in the frequency of urination caused by the growth of the fetus pressing on the bladder. It results in pregnant women having to urinate frequently, including at night. Pregnant women often wake up because they often want to urinate. The effect of sleep deprivation on pregnant women. If your blood pressure is higher than normal, then there is a possibility this is a sign of preeclampsia. Preeclampsia is one effect of sleep deprivation in pregnancy. Preeclampsia can cause serious health complications for the mother and fetus such as organ injuries. According to the study, pregnant women who sleep less than 6 hours at night in the first trimester of pregnancy have a systolic blood pressure of 4 mm / Hg (upper limit blood pressure) higher than pregnant women who sleep more than 7 hours. The risk of getting preeclampsia also increases to 9 times higher. Pregnant women with lack of sleep, their bodies and brains will become tired and stressed, which in turn can increase the risk of developing high blood pressure or hypertension. It happens because, during the lack of sleep, pregnant women will change the hormone endothelin and vasopressin which affect blood pressure. A study conducted by the University of Washington, United States, revealed that pregnant women who sleep less than five hours during the first 14 weeks of pregnancy are at risk of developing high blood pressure 10 times higher. Not having enough quality or quantity of sleep will undoubtedly affect the mood, concentration, and memory of pregnant women. 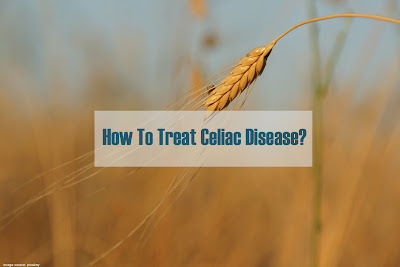 It will develop into a symptom of depression for pregnant women. Due to lack of sleep and insomnia can increase the risk of preterm labor. It will have consequences that are not safe for your baby later. Premature births usually have a derivative result such as the risk of low birth weight or abnormal organ development. Tips to have a better sleep during pregnancy. Sleep position. It is recommended to sleep on your side by bending your knees. Adjust the position to feel comfortable. If you experience a burning sensation in the chest, you can sleep half-sitting and your back rests on a pile of pillows. Additional pillows. Pillows are pretty helpful to give comfort to sleep while pregnant. In addition to supporting the body when leaning back, older pregnant women can use a pillow to hold the abdomen or placed between the legs when lying on one side. Now available on the market, several types of pillows specifically for pregnant women. Maintain a bedtime habit. Don't change your sleep routine during pregnancy. If you feel you need more sleep, you should do it during the day. Practice relaxation techniques. By relaxation techniques regularly at home, it can make the mind and muscles of the pregnant woman's body more relaxed. Perform stretching, massage, breathing or yoga techniques, followed by a warm bath before going to bed. In particular, stretching techniques will help prevent cramps and breathing techniques can help reduce tension. Take milk at night. It is much essential to consume milk to encourage the development of the fetus in the womb. If you have problems with insomnia, then try consuming warm milk at night. According to research, milk contains tryptophan which is useful in stimulating the body to release melatonin, a hormone that triggers drowsiness. Always active. Moving actively in pregnant women can help reduce leg cramps, reduce stress, prevent overweight, and increase energy. However, adjust to the ability when doing it. If necessary, consult a doctor before doing certain sports activities. Pay attention to food and drink intake. Reduce foods and drinks that contain caffeine, especially at bedtime. Caffeine can be found in products: Tea (including green tea), energy drinks, soft drinks, chocolate, and coffee. Don't eat spicy foods before bedtime to avoid heartburn and other digestive disorders at night. Sufficient daily water intake for the body, but you should limit water consumption before going to bed to prevent the urge to go back and forth to the toilet. Take special yoga classes for pregnant women. Yoga is not only useful to improve health but also helps the brain nerve to relax. The body becomes calmer and reduces symptoms of insomnia. You can take yoga classes specifically for pregnant women to get the right training in overcoming sleep deprivation during pregnancy. Also, read Antepartum Depression: How To Face Depression During Pregnancy.